Everybody knows that Toyota makes great quality and reliable vehicles. That’s why you are looking for one. You still need to do some basic checks to ensure that you can buy your preloved vehicle with confidence. At Karz Plus, we want you to know how to pick a great used Toyota in San Diego. A used Toyota is really a numbers game. They are pretty popular, so you will have plenty of examples to choose from on the used car market. Narrow down the model and features that you are looking for and get ready to go shopping. The best used Toyota is one that has low mileage, a fresh interior, and all the comfort and convenience options that you are looking for. Buying the newest vehicle that you can fit in your budget is really important. Newer vehicles have better safety features and a longer lifespan in your possession. A good visual check is very important. Start by looking at the car as a whole. Is it straight and even looking? Look closer. Does the used Toyota have even panel gaps and matching paintwork? Inside, you should check that the wear on the trim is acceptable for the posted mileage. Check the vehicle handbook to ensure that scheduled maintenance has been performed in a prompt manner. Missing service receipts are a concern and could indicate a vehicle that has not had regular oil changes. Listen carefully when you are test driving for a noisy engine, transmission and suspension. Once all your concerns have been addressed, you need to check that the vehicle is able to be transferred to your name. 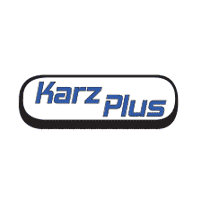 At Karz Plus, we take care of all the important paperwork so that you can just enjoy purchasing your used Toyota and taking it home. Come in and see why more people choose to buy their preloved vehicles from us.